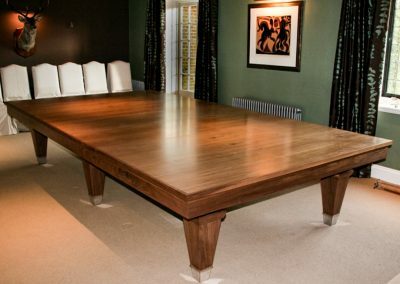 Available for immediate delivery – this beautiful, contemporary full-size Snooker-dining table was handmade by our craftsmen from American black Walnut, with our striking, tapered ‘Lauren’ leg and nickel feet. 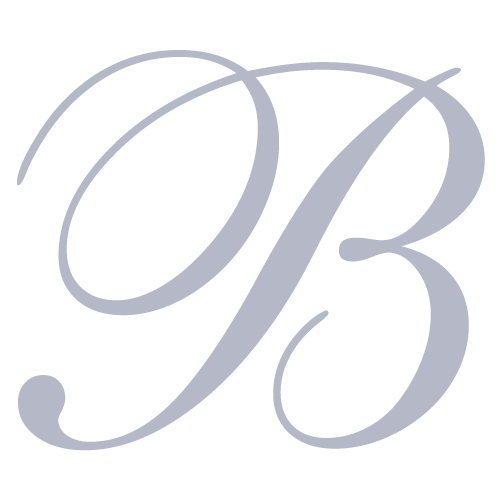 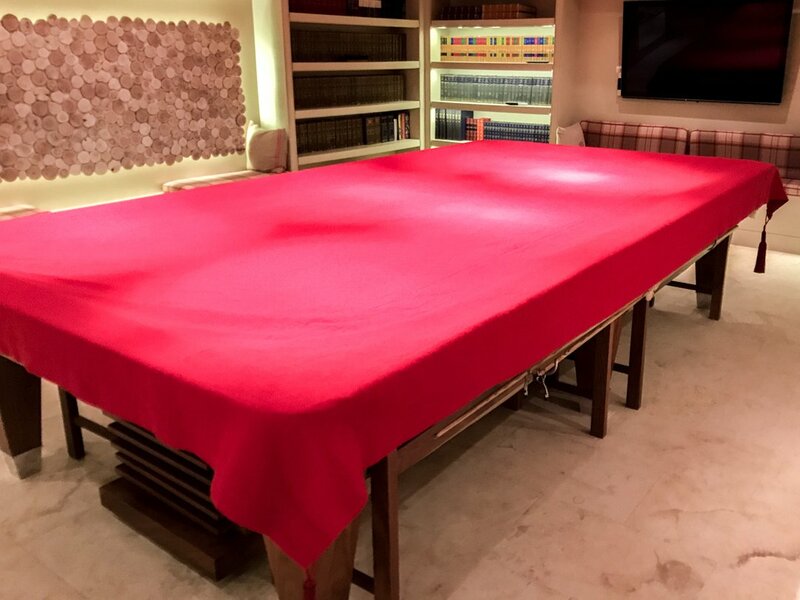 It is clothed in Windsor red Hainsworth Smart cloth and comes with a complete set of bespoke accessories and benches. 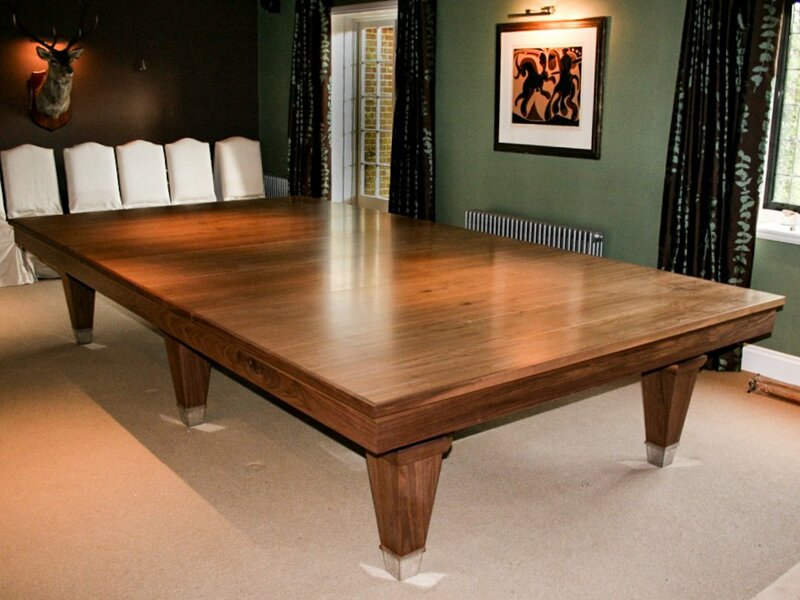 The table has tongue-and-grooved dining table tops, beautifully veneered and edged with Walnut. 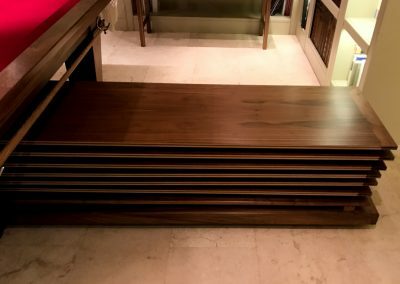 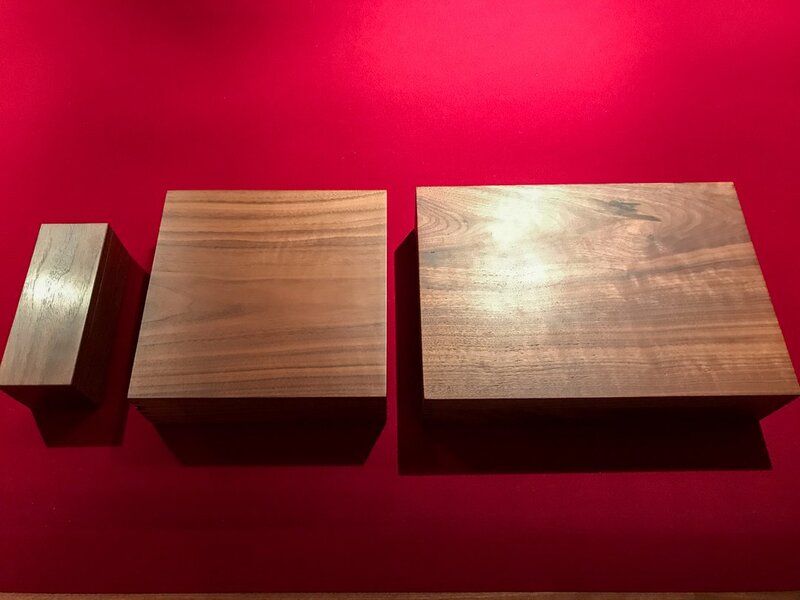 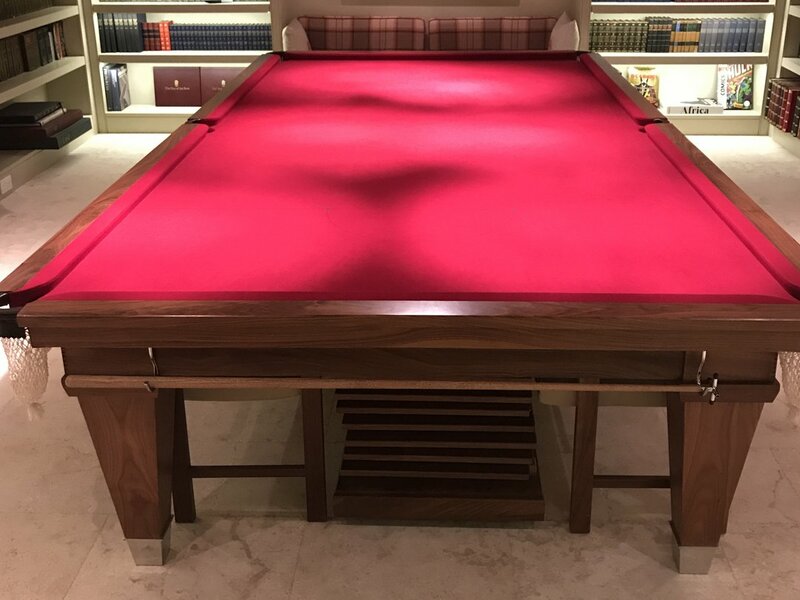 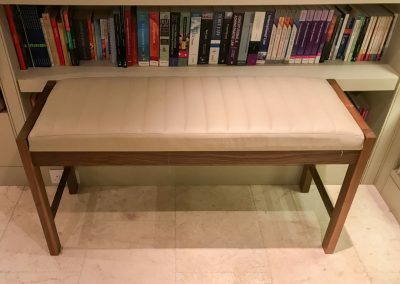 Because the table is made at the correct height for Snooker (33” to the bed), the bespoke benches, made from solid Walnut with luxurious leather upholstery, are higher than standard dining chairs, ensuring a comfortable dining experience. 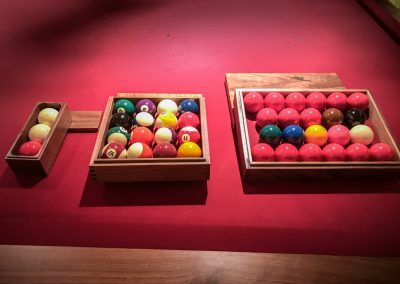 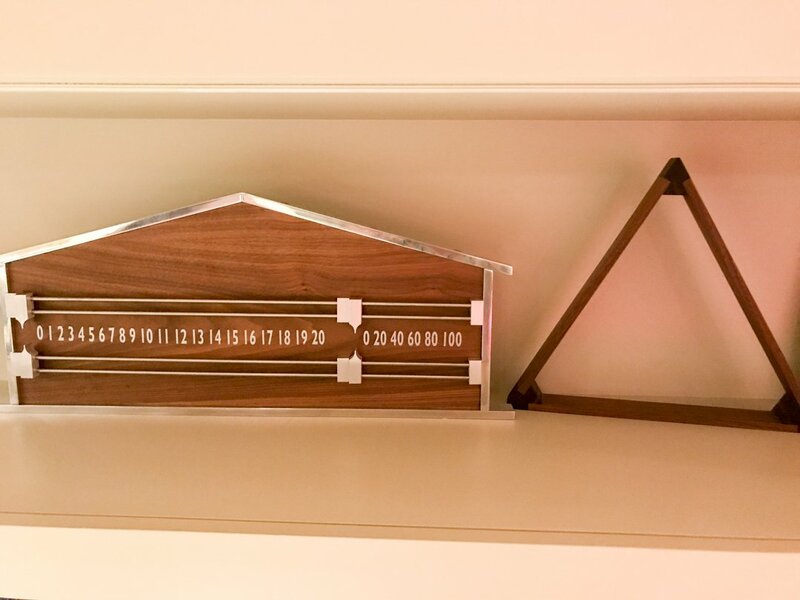 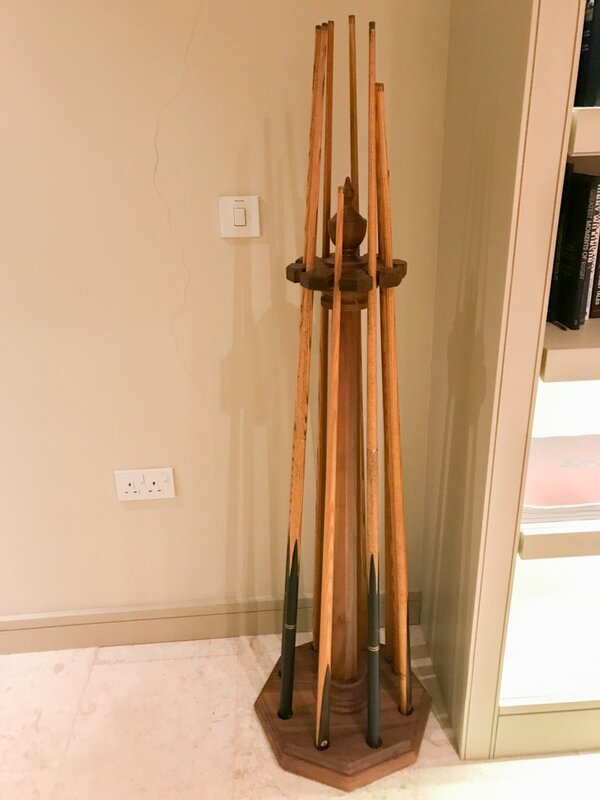 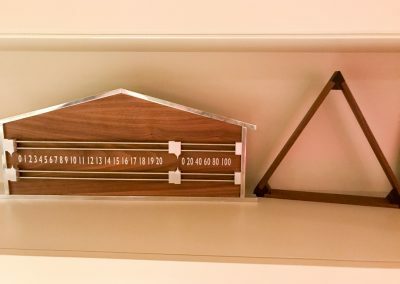 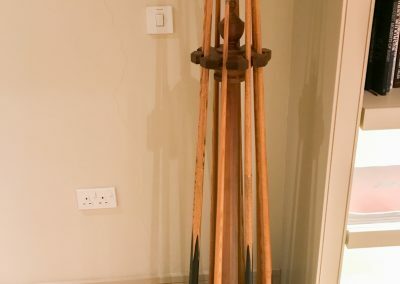 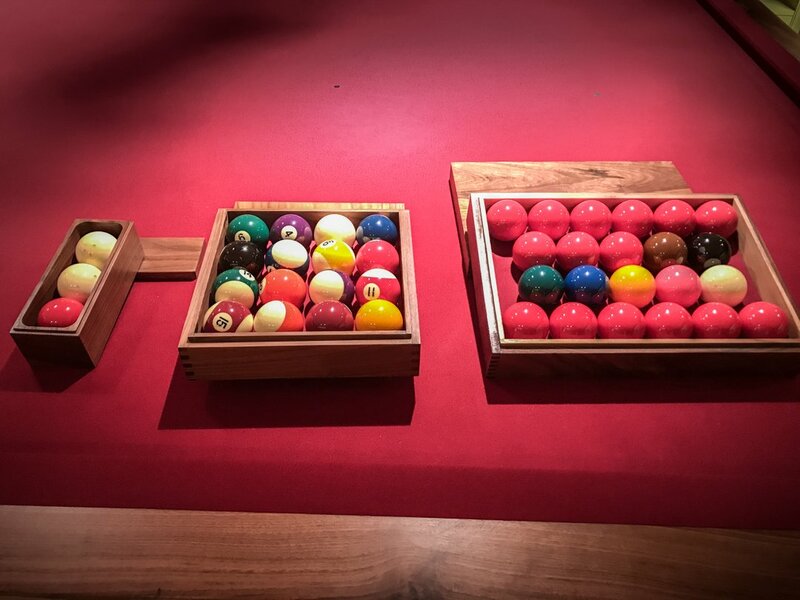 As shown in the ohtos, the set includes a stunning matching metal-edged scoreboard, triangle, pediment cue-rack and luxury cloth cover.